Diversity is a must in everything in life. Boys have been playing games and reading comics throughout their childhood, as well as when they’re adults. But, all this isn’t just as nice as it sounds. Everyone has their role models. 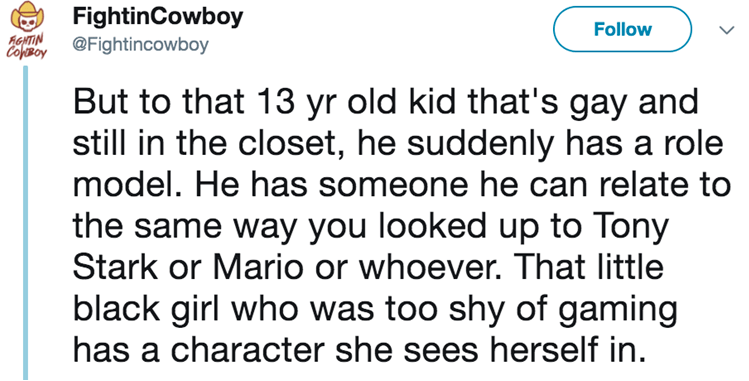 Maybe they see something in their lives that one can relate to, or perhaps they just like their appearance or, usually, they just like playing with that character. But people take their characters too seriously sometimes, and that is not okay. Especially when it comes to transgender characters. 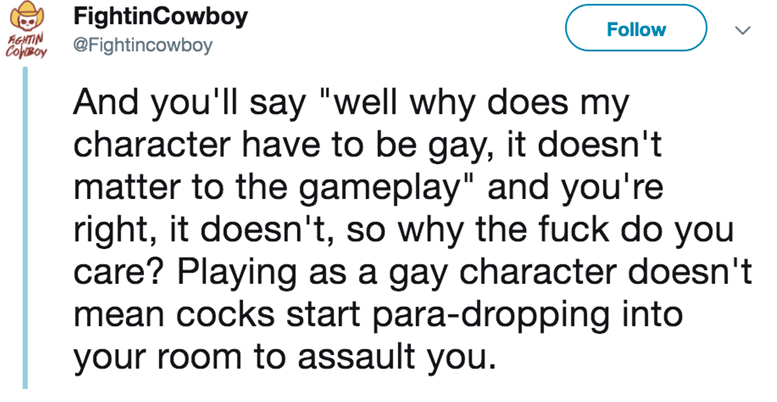 I mean, just play with the character if you like playing with it, or learn something nice from its life story. But please, don’t pass judgements over their sexualities. Staying quiet would be so much better. It would help someone too as a bonus. 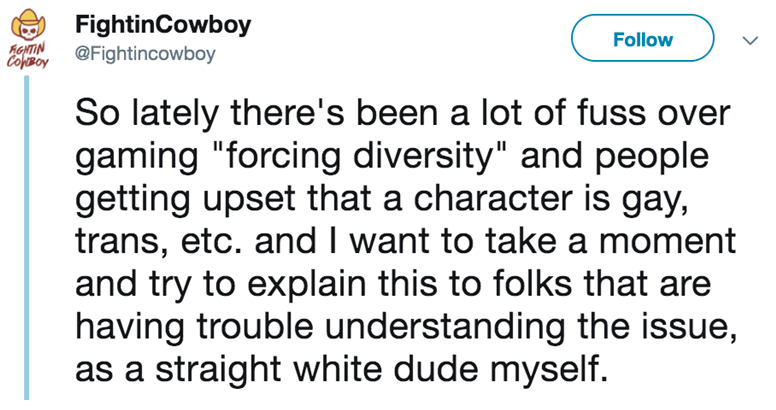 Here’s Fightincowboy, a straight white guy, just like you. Here’s what he had to say about this. If you don’t believe me, because of my gender and your masculinity, take his words. 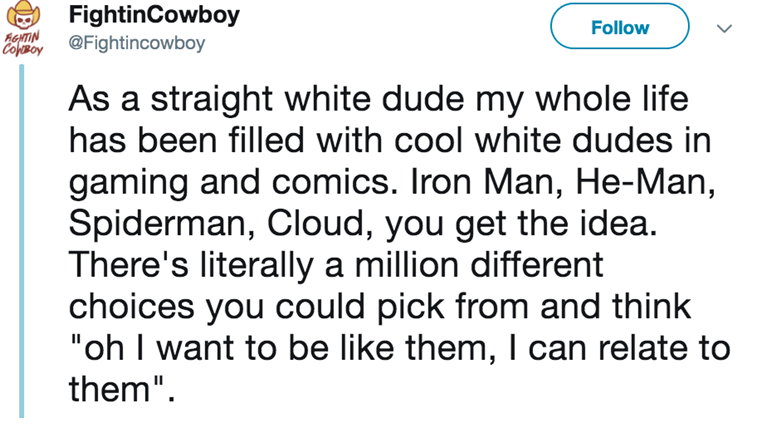 He’s a straight white dude, like you. You’ve to play with the character, not date it. 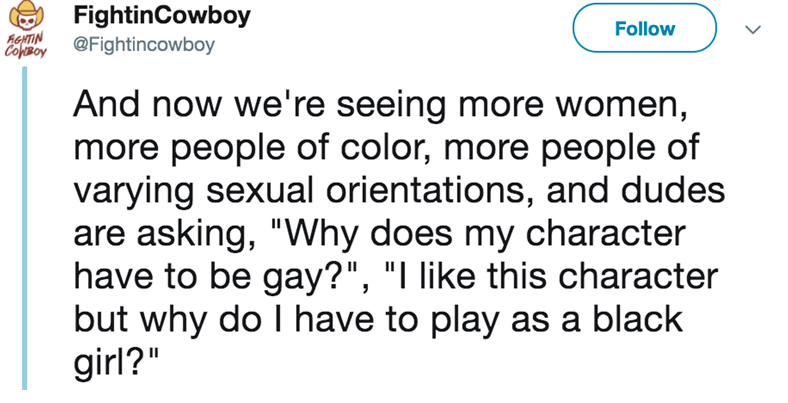 Why should your character’s sexuality bother you? Please understand this. You’re not the only one with a heart in this world. Sums it up well enough. 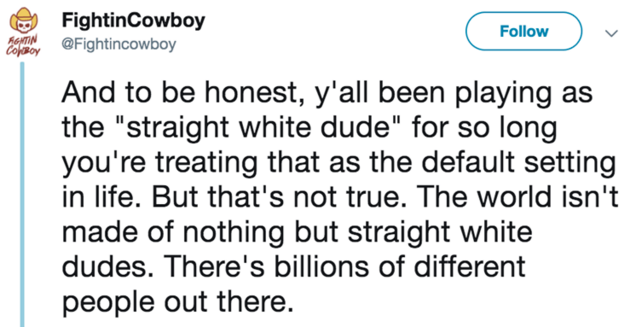 Honestly, all of this isn’t really expected from straight white guys. But what he just had to say about this scene is too accurate. Please follow his words. That’s all I have to say. What’s your say on this? Let us know in the comments below!